A HOLIDAY home with room for the family and friends. 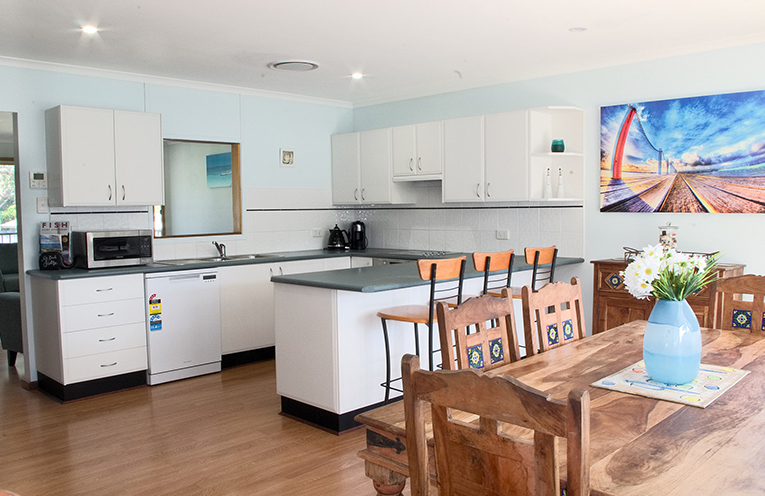 Located in Hawks Nest, just 400m to the boat ramp, one kilometre to the Golf Club House and just a leisurely 1.5 kilometre walk to Bennetts Beach. The home sits on approx. 556 sqm of land. Entry is into an open foyer, which is spacious and currently a comfortable study and reading nook. Step through to a large family room with bunk beds which can accommodate extra guests. A bathroom and laundry completed the downstairs. Upstairs, there is a kitchen and open dining space with windows and doors to an outside verandah. The kitchen has plenty of bench space, a breakfast bar and servery window as well as loads of storage. The living area overlooks the garden with another verandah to enjoy the outdoors and the garden. 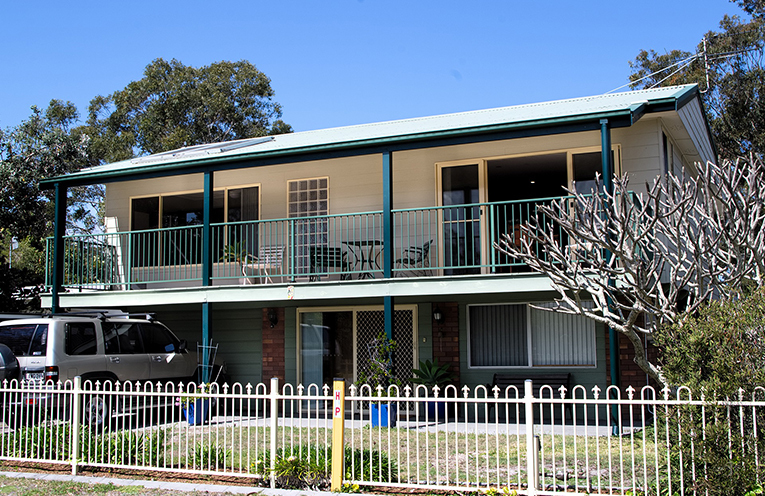 The master bedroom which has an ensuite and walk in wardrobe is light filled and enjoys access to the verandah. There are two further bedrooms and a family bedroom. The property features a longer length drive through garage with workshop area as well as another garage and workshop at the rear of the block. A level backyard, the property is fully fenced and offers off street parking for cars, boats or caravan.